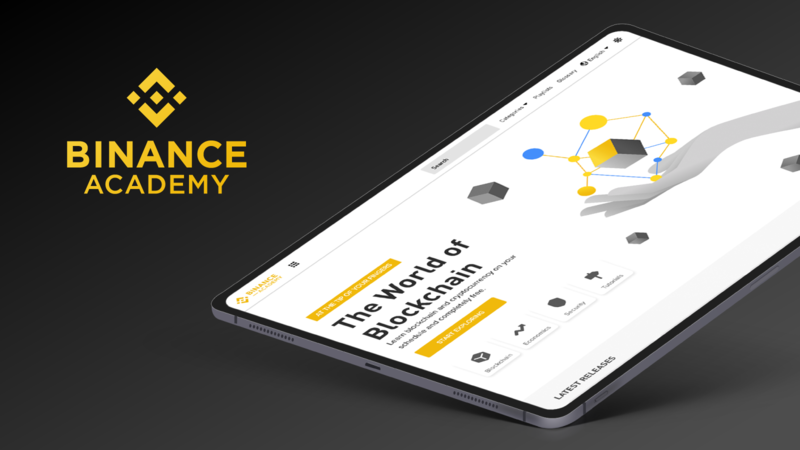 At Binance Academy, we find new ways to make everyone’s blockchain education more convenient, so we launched a major update to Binance Academy’s website. The educational arm of Binance has rolled out several new features in the revamp, all with the purpose of enhancing the user experience to facilitate faster and better learning. A new homepage, which incorporates user experience improvements and new user-friendly functions. Cryptocurrency education Playlists, which offers a curated sequence of content about important blockchain themes. Promoted Content, which shines a spotlight on the most relevant and timely endeavors by Binance Academy. We recognize that a comprehensive library of educational content can only do so much and that we have a responsibility to present this content in the most impactful way possible. The user experience enhancements done on the website will go a long way in making sure that the growing blockchain community is better informed. Binance Academy’s website update incorporated many of the feedback that our various patrons have provided about their use of the website. Here’s a breakdown of those enhancements. Reading time estimations on each article can give you an idea of how long it will normally take for you to understand the topic. On the screenshot above, you’ll see a timer icon at the bottom left of every entry, below the title. A new video indicator icon will let you know if a certain topic has a video you can watch. Look for the video icon below the title, beside the reading time estimate. An automated Image refactoring function which reduced loading speeds and reduces precious data usage. Various under-the-hood enhancements on the website also contribute to the overall learning experience. Check out how each of these enhancements works on the newly revamped website. The website also features two major additions, which we’ll discuss in detail. Playlists are custom-made clusters of videos and articles about specific topics in blockchain and cryptocurrency. This new feature will make it easier for users to find, follow, and understand the topics that they want to learn. Since its launch, Binance Academy grouped its content into four categories: Blockchain, Economics, Security, and Tutorials. However, a lot of the topics within the blockchain and cryptocurrency world tend to overlap between at least two of these categories. With the addition of Playlists, people are given more options to explore content and lessons on the website. Cryptocurrency Beginners Guide - If you’re new to cryptocurrency, then this would be the place to start. This playlist will help people understand the fundamentals of crypto before diving into more complex topics. Real-World Uses For Blockchain - What is blockchain used for? Adoption is the one key aspect of blockchain that the world is pushing for. This will be an eye-opener for people to understand the endless use cases of blockchain technology. Securing Your Data and Funds - The Internet can be a dangerous place. It’s important to stay safe, and the best way to do that is to educate yourself on the risks and best practices in order to avoid or combat bad actors in the blockchain space. How Blockchains Achieve Consensus - Many blockchains utilize different methods to achieve consensus. Users can learn about the variety of methods here. Technical Analysis For Beginners - Many traders use technical analysis indicators but don’t actually understand each of them in full. This is the place to go to if you’re a trader who wants to understand exactly what those indicators are telling you. How to Use the Binance DEX - Binance Academy released a series of guides on using Binance DEX, the upcoming decentralized exchange of the Binance community. Here’s your one-stop destination for all things DEX. Blockchain Scalability Solutions - Scalability is one key factor that many people are trying to solve. Blockchains need to be able to handle the transaction volume of everyday real-world usage. This playlist will explore the different methods of scaling blockchains. Each of these playlists are theme-based and make it easy for someone to follow a set path and learn from start to finish. All playlists are available in all 16 languages: English, Vietnamese, Polish, German, Italian, Spanish, Portuguese, French, Dutch, Chinese (Traditional and Simplified), Arabic, Korean, Russian, Turkish, and Bahasa Indonesia. Explore the Playlists here. Part of making the learning experience better for everyone is providing them with a hub where you can quickly view the newest things that Binance Academy has to offer, from features such as Playlists to promos and quizzes. These things sometimes end up being hidden under menus and less-visible parts of the website. With the Promoted Content section, we can show you up front what you need to know about the website, such as the phishing quiz we have, or our comprehensive tutorial about using Binance DEX. Check this section for current and upcoming updates on the platform. Binance Academy will launch more updates in the coming days, as well as more quizzes and promos where we offer numerous prizes to lucky winners. The team is also exploring a new audio function for all lessons, which will go a long way towards making blockchain knowledge even more accessible to more people, regardless of ability or circumstance.